Super Jaguar Deep Blue Need Help? The jaguar Deep Blue is a contemporary style, combining a unique metal bridge and carefully carved acetate structure into a casual, sophisticated silhouette. 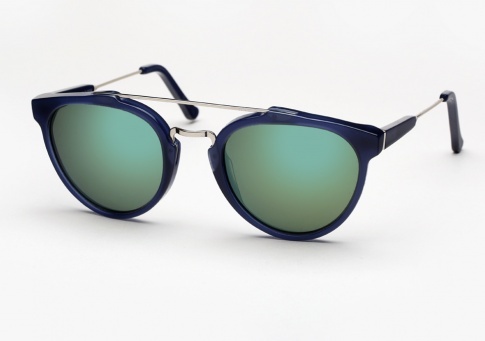 This version features a rich blue acetate and vibrant mirrored lenses by Zeiss in petrol green.